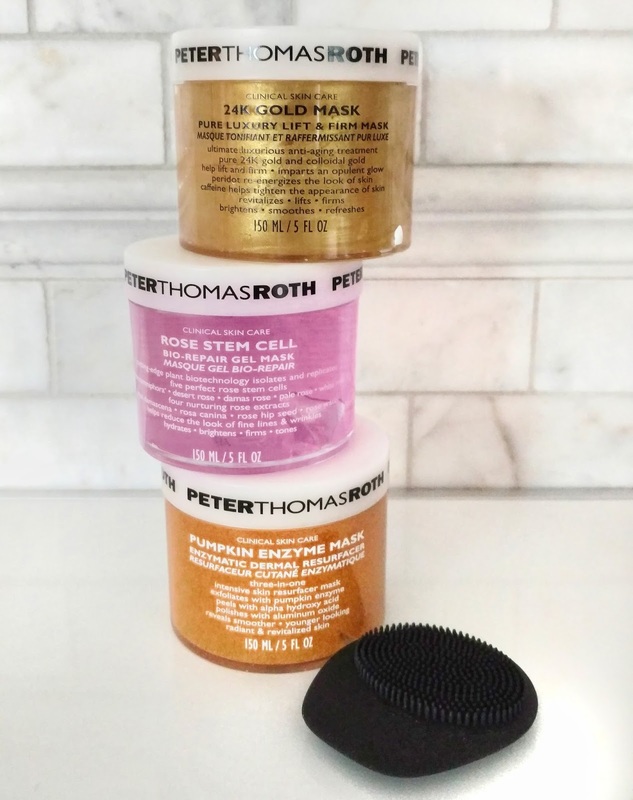 There are some fantastic deals happening today only on Peter Thomas Roth products at QVC, including the new Super-Size 3-Piece Mask Collection ($79). I've been a PTR fan since about 2005 (so for about 12 years now!) but for some reason, I hadn't tried any of his masks (except for the Cucumber one) until now. I just have to say... I was really missing out! 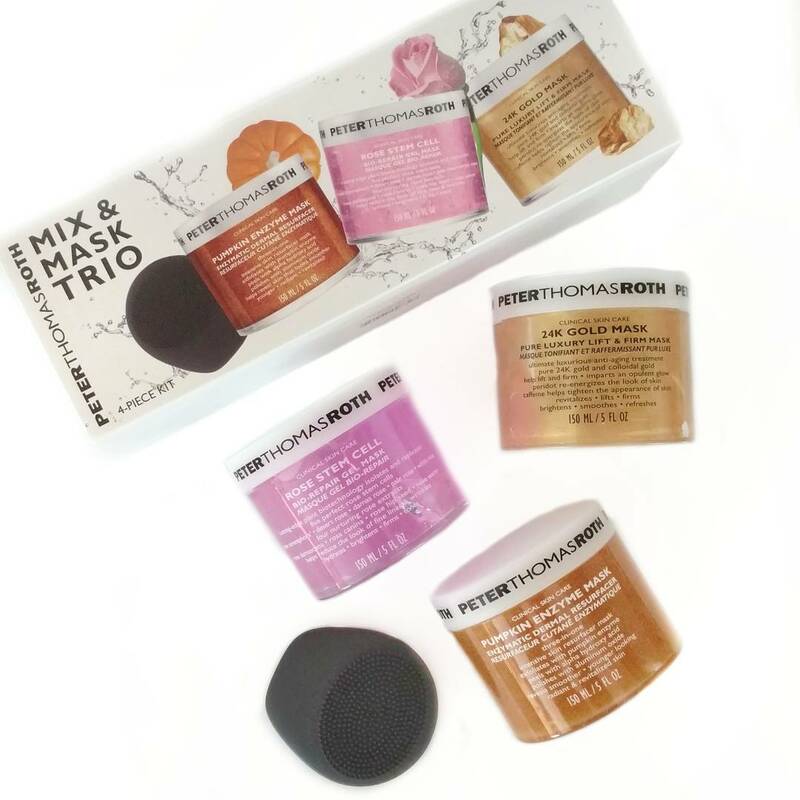 QVC was kind enough to send me the Super-Size Mask Trio in advance so that I could try them and let you guys know my thoughts. I've been using these for about a week now and I feel like I finally know what all the hype is about! The set comes with three 5 oz. sizes of Peter's best-selling masks plus a Mask Tasker Tool which is so neat! You can use the flat side to scoop out the mask and apply it to your skin, then use the end with the soft rubbery "bristles" to massage the mask into your skin for more of a spa experience. It also rinses clean in no time and dries really fast. You can use each mask individually depending on your skin's needs or you can do a multi-masking night and use all three back to back in the order I've listed them below. This is an exfoliating mask that smells exactly like pumpkin pie filling. As I was applying it to my skin, I almost subconsciously licked it when I put it near my mouth because it smells so close to the real thing (true story!). 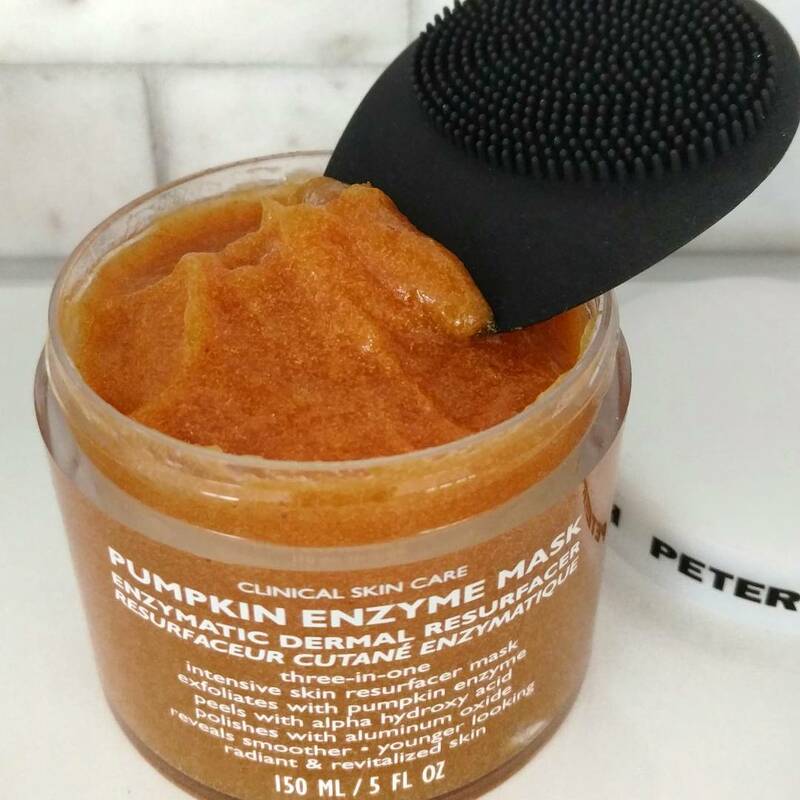 It chemically exfoliates using pumpkin enzymes and alpha hydroxy acids, and also manually exfoliates using aluminum oxide crystals (which give the mask a gritty texture). I apply it to clean skin and leave it on for about 3-5 minutes to let the aha's and enzymes work, then I massage it in and the crystals polish away rough texture and flakes, leaving my skin feeling so smooth and soft. 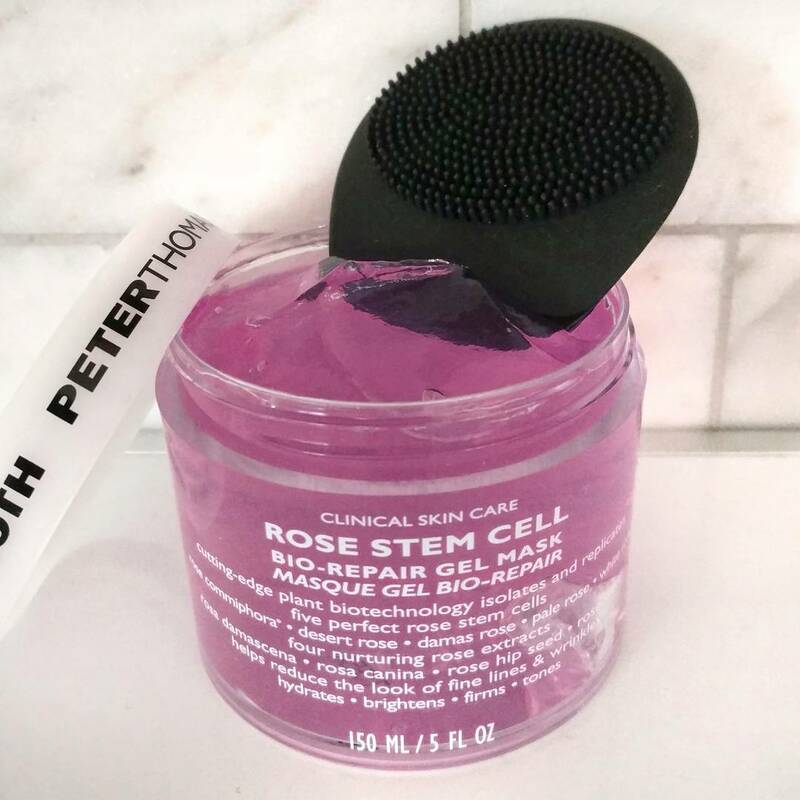 For a soothing, hydrating treatment after using the pumpkin mask (or any time your skin feels dry) the Rose Stem Cell mask is wonderful. It contains four rose extracts (Rosa Damascena, Rosa Canina, Rose Hip Seed, and Rose Water), plus humectants and has a soft rose scent that's not too strong or intrusive. It has a gel texture that feels cool on your skin (I can see myself using this during the summer after a day out in the sun) and you can either rinse it off after 10 minutes or apply it in a thin layer and leave it on overnight. My skin feels so soft afterwards! 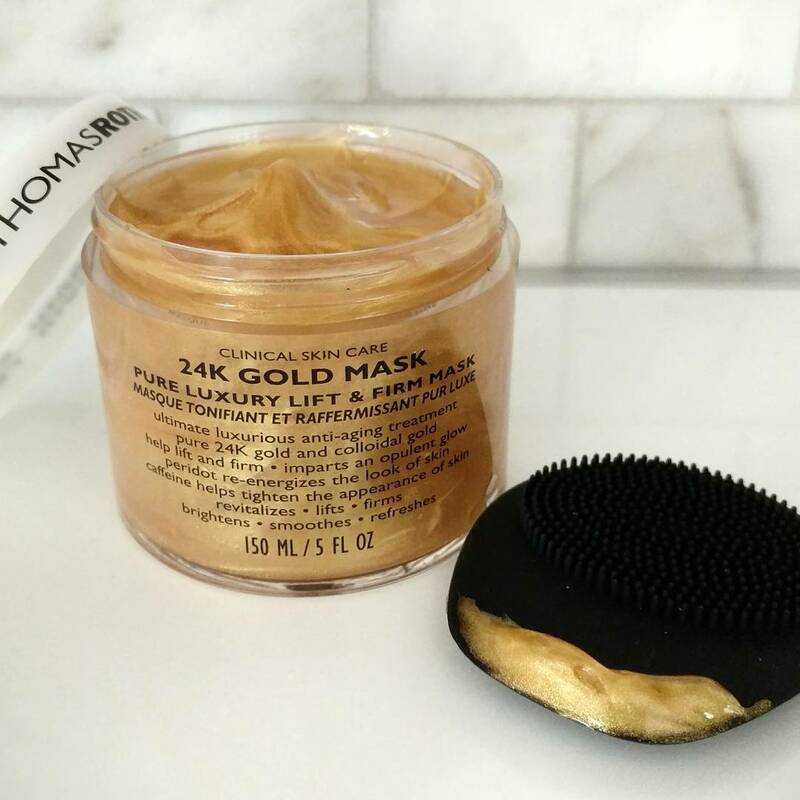 If you're using all three masks in the same night, the 24k Gold Mask would be your final step. It contains 24K gold, colloidal gold, peridot (rich in magnesium), caffeine, hyaluronic acid, and glycerin. I didn't notice a scent with this one at all, and it has a thicker, richer texture than the other two masks. When I apply it to my skin, it looks like my face has been foiled in gold, so it's really fun to use! The first time I tried it, my husband said I looked like the girl in the old James Bond movie Goldfinger who was painted in gold, haha. After 5 or 10 minutes, I rinse the mask off and my skin feels soft and smooth and looks a bit more glowy. It's hard for me to say if it's more firm, but it may be something that happens after using this mask over time. Overall, this set is an awesome value and a great way to pamper yourself. You can keep all three or split them up to give as gifts. Also Mother's Day is coming up and this would be a great gift idea for any Mom! Available at this price today only at QVC.com (while supplies last). It's also available for 3 Easy-Pays of $26.33 each. *Disclosure: The products featured in this post were provided to me complimentary from QVC, but all opinions are my own. Links are affiliate links which help to support my blog- thank you in advance if you choose to use them! If you prefer not to use affiliate links, you can click on the regular link here. The Pumpkin Mask is one of my favorite masks of all time, it's amazing! To anyone who hasn't tried it, you need it in your life. It makes your face as smooth as a baby's behind and makes my pores look almost nonexistent. I ordered this set because I heard really good things about the Rose Mask from my sister and the price of the whole set is less than buying two of them at Sephora. Honestly, the pumpkin mask is $58 and I need another one soon anyway. I don't know anything about the gold one but I figure it's free so I might as well try it! P.S. You're my favorite beauty blogger. You always post about things that I don't see anyplace else. Wow! Over the holidays I got the 6-piece mask sampler kit at Ulta so I could try some of them before buying the bigger sizes. I gave the gold one and the Irish mud one to my DIL (no problems with them, I just wanted to share), and I lovelovelove the Rose one and highly recommend it. I love the Pumpkin and Rose masks! I was planning on buying the Mask Vault at Sephora but it's a lot more expensive and has a few that I didn't really need. I think I'll get this one instead because it has my two favorites in it plus I always wanted to try the 24K one. Thanks!